An Australian firm has won one of the world's most prestigious landscape architecture awards, the Rosa Barba Landscape Prize. 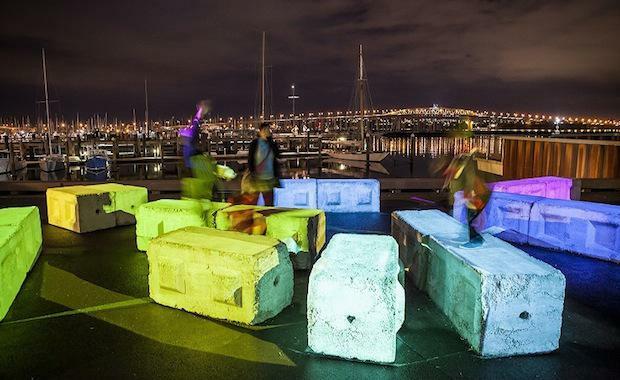 Taylor Cullity Lethlean (TCL) took out the top prize with New Zealand firm Wraight and Associates for the transformation of Auckland’s waterfront from a decrepit industrial maritime site into a stunning, vibrant and diverse public precinct in 2011. Field Operations’ famous High Line in New York. The prize was announced during the 8th International Biennial of Landscape Architecture in Barcelona, 25-25 September 2014. TCL Director Perry Lethlean said winning the award from a field of some of the world’s most distinguished landscape architects and internationally renowned projects is a significant achievement for the firm. “We’re extremely honoured to win this prestigious award in what is the first time it has been opened to the international design community," he said. “The Rosa Barba Landscape Prize recognises the world’s best in landscape architecture from the past five years, which was clearly evident in the calibre of outstanding shortlisted projects." Auckland Waterfront Project was the transformation of a decrepit industrial maritime site into a vibrant and diverse public precinct. The design challenges conventions by celebrating its original elements and encouraging public interaction with the waterfront’s industry. “It was an enjoyable design journey, the project is noted for its overlapping themes concerning friction, the ‘as found’ and reprogramming derelict artefacts,” said Lethlean. This awards marks the secong major international award received by TCL in the last 12 months after the firm won ‘Landscape of the Year Award’ at the World Architecture Festival Awards last October. TCL has another two projects shortlisted in this year’s World Architecture Festival Awards, to be announced in Singapore on 3 October 2014.